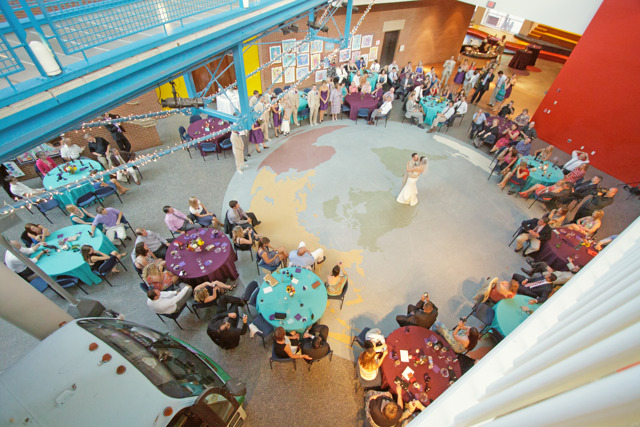 Located in the heart of downtown Raleigh, Marbles Kids Museum & Marbles IMAX offers spectacular spaces for galas, wedding ceremonies and receptions. 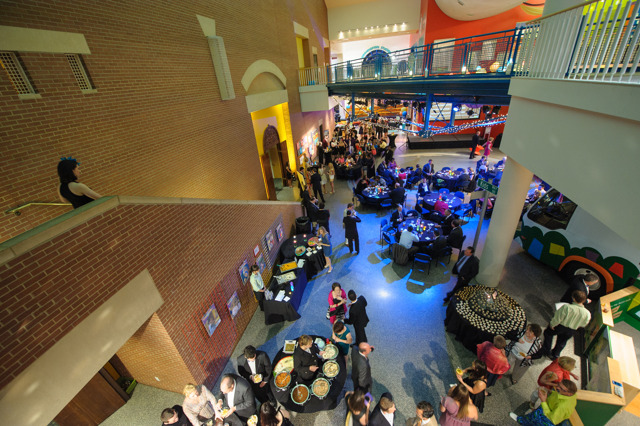 Our stunning architecture, colorful exhibits and vibrant spaces provide the perfect setting for a truly unique and memorable event. 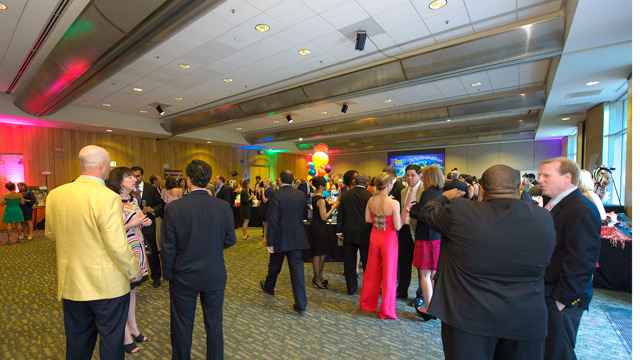 Located in the sophisticated and contemporary IMAX building, Venture Hall is well-suited for large meetings, luncheons and dinner receptions. Creative menus, impeccable attention to detail and flexibility to work within your budget. We provide freshly prepared, quality food that tastes delicious. Italian cuisine with a Tuscan flair, Caffe Luna offers generous portions of fine Italian food served at reasonable prices. Full-service catering team offering fresh foods in a creative style to suit your individual taste and budget. Locally owned, award-winning caterer, offering a wide variety of delicious cuisine presented with artistic vision. Choose from contemporary Mexican, Italian and American cuisines from local restaurants such as Mez Contemporary Mexican, Page Road Grill, Squids and 411 West Italian Cafe. Offers cuisine from all your favorite restaurants such as The Pit, Gravy, Sitti, Raleigh Times and Morning Times. Innovative, contemporary, classical and gourmet cuisines with special attention to service and details. Full-service food and beverage catering for all types of occasions. Choose from an expansive menu spanning from comfort food to international cuisine, or have us create your own custom menu. Fresh food with broad variety of vegetarian and vegan options. Menu offerings include American cuisine with unique touches. Fantastic cuisine and unique designs with American and Asian flairs. Focus on excellent cuisine, service and ambiance. Southwest catering for any occasion, any budget. Buffet style or pre-rolled sandwiches along with famous chips and salsa. Utilizes the amazing agricultural resources of the area and hand-crafts menus inspired by the seasons to fit your budget and vision. 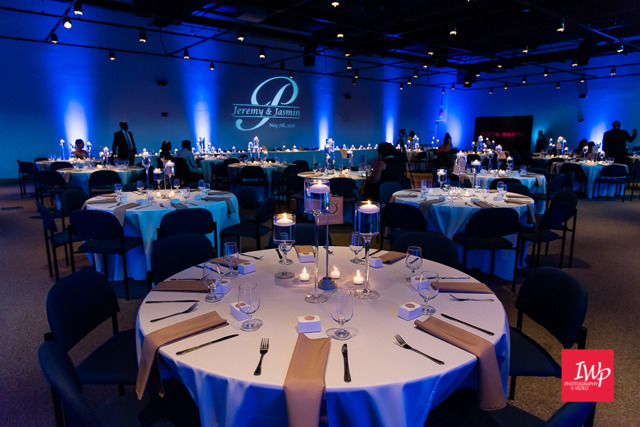 Full-service caterer providing restaurant-quality food and service inspired by the menus at 1705 Prime, Dean's Seafood Grille, Twisted Fork and The Daily Planet Cafe. Southern-inspired, chef-driven and based on locally raised foods, with options from several local restaurants.